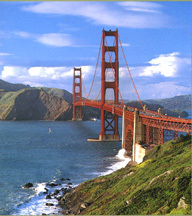 San Francisco is a fabulous place to start or finish a cruise vacation. If you are from the Bay Area and taking a round trip cruise, there is NO easier way to get away - no airports and no airplanes required! Catch a ride to Pier 27 by 1:00pm, go through easy security and by 2:00pm you are out on deck with a boat drink in hand or on your balcony relaxing. The sail away under the Golden Gate Bridge is a lifetime experience - every time! Even a one-way cruise takes away half the stress of traveling! Princess Cruises is now based year-round in San Francisco. Download a list of the 2018-2020 Princess Cruises we offer to Alaska, Mexico, Hawaii and California Coastal (both Northern and Southern) cruises sailing round trip from San Francisco. Ask us about the Princess Bon Voyage program where you can visit the Grand Princess for the day, including a ship tour and lunch with wine. We can arrange it all!